Millionaire Biz Pro claims you can start earning $1,000 per day after just 24 hours by using this system. 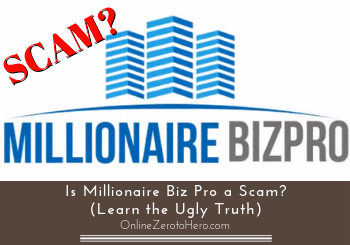 But is Millionaire Biz Pro a Scam or the real deal? Well, let me reveal right away that it is definitely great you are doing some research before paying for this program, as there are a lot of things you are not told and A LOT of exaggerated claims you need to know about. In this Millionaire Biz Pro review I am going to show you these warning signs, so you know what you are getting into before paying anything. Millionaire Biz Pro claims you can start earning $1,000 per day with just a few minutes work. This is just one of the many exaggerated claims. The program has A LOT of warning signs, as you for example do not know who the owner is, it uses the same tricks it warns against, and it can end up being a lot more expensive than you are told. It is therefore NOT a program I recommend. What is Millionaire Biz Pro and what does it offer? When you watch the sales video of Millionaire Biz Pro it might be a bit difficult to figure out exactly what it offers. You are told that you will get everything you need to build your own Millionaire Biz Pro business and income online, and you can get this up and running with just a few clicks. You can supposedly get everything set up and start earning with just a few clicks. This of course sounds good, but you are not told much about how it actually works. In one of the sales videos (there are several of them depending on the way you get to the page), the owner shows a live demo to show you what it is about. This demo is however not really showing anything. It just mentions you have to do four easy steps, and then you will start earning. It is actually a really poor demo, and I would not even call it a demo, as it shows or proves nothing at all. Anyways, what you will actually get is access to 15 predesigned webpages. These webpages can then be used to capture emails from people visiting them, and you can use both the sales pages and the email lists to earn commissions through affiliate marketing. Millionaire Biz Pro also includes some basic training videos that will show you how to do this. This all sounds good so far right? Well, there are however a lot of things you are not told. Before getting to these warning signs, let me first explain shortly how affiliate marketing works, so you know, if this is even a legit way to make money online. Is it a real way to make money? As mentioned, Millionaire Biz Pro teaches you how to make money through affiliate marketing. Affiliate marketing is definitely a real way to make money online, and also my own preferred way to make money online. It is a way, where you can promote products you do not own to other people, and if they buy through your link, you will earn a commission. If you do affiliate marketing honestly, it is a great way to make good money online while at the same time helping people by providing helpful information to them. However, not everybody is doing affiliate marketing by focusing on quality and on helping. In the sales video of Millionaire Biz Pro, Derek (the owner) also mentions this and says that his program is different from other programs. He says that most programs that teaches you to make money online cheat, lies, and manipulates just to make money themselves. His program is of course completely different. And does not have any gimmicks – according to himself. 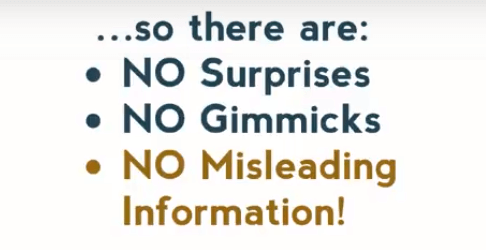 Millionaire Biz Pro claims it does not use gimmicks – hmmmm. However, in my opinion Millionaire Biz Pro uses exactly many of the same tricks and sales methods it criticizes in the sales video. It seems like this criticism is just to create trust, as most people that have tried to make money online can relate to what he is saying, and many of us have lost money to scam programs. However, in my opinion Millionaire Biz Pro itself has many warning signs you need to be aware of, so let’s go over these now. Millionaire Biz Pro teaches a real way to make money, and I know from personal experience that affiliate marketing is definitely a real way to make money online. I however strongly doubt Millionaire Biz Pro will be a good place to learn this for the reasons below. To know how trustworthy a program is, it is always a good idea to look at who is behind the program. What the history and past products of the person is tell a lot about what you can expect. In the case of Millionaire BizPro you can however not find much information, and what you can find is quite alarming in my opinion. You are told the owner’s name is Derek Maxwell. Derek Maxwell is the supposed owner of Millionaire Biz Pro. The sales video also shows a picture of him, as you can see above. 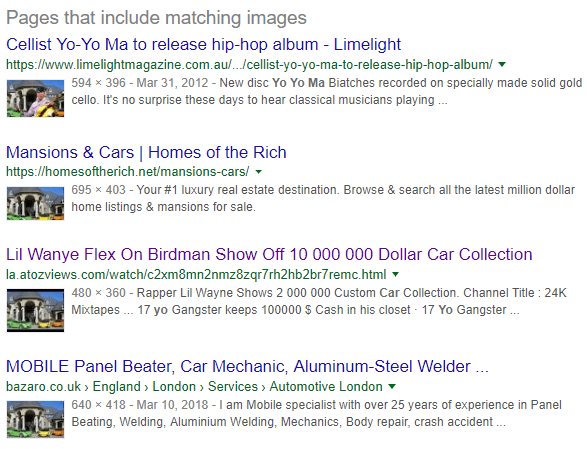 I however have a lot of experience in internet marketing, so I was suspicious, when I saw this video and decided to research this image further. 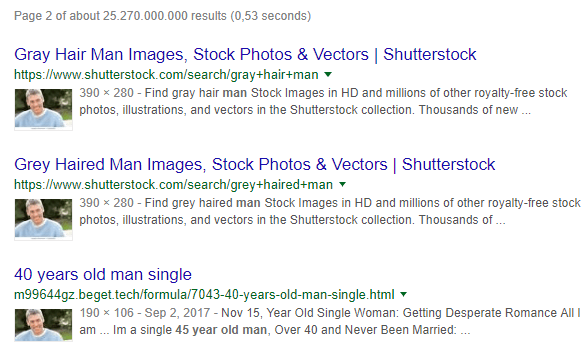 It turns out the image of Derek is a stock image from Shutterstock, and it is used on A LOT of other websites as well. It seems Derek’s image is a stock image. When a program uses a stock image to represent the owner, it is in my opinion a big warning sign. It is hard to say if the name is then even real. In addition to this, there is also a picture of “Derek’s” house and cars on one of the sales pages. Again, this image turns up all over Google, and is used on all kinds of pages. The image of Derek’s house and cars also seems to be a random image. In one of the sales pages Derek is actually saying that he will not use gimmicks like showing pictures of fancy mansions and cars to convince you. Well, it seems that was not quite true – just one of the many contradictions. If the program really was as great as the sales page claims, why use random images of the owner and his mansion? Would the owner not proudly stand behind it, if it really was an amazing system? Just one of the many warning signs to consider before investing in this program. In one of the sales video I saw for Millionaire Biz Pro there are several testimonials from supposed satisfied users. Testimonials like this are however often bought, and they are very cheap to get. In my opinion the testimonials for Millionaire Biz Pro sounds like a script. I want to make it clear that I was not able to find the people from the testimonials on platforms where people sell testimonials, so this is an assumption based on my previous experiences and from how the testimonials sound. In addition to this it also seems like Millionaire Biz Pro has been lazy when it comes to editing the testimonials. 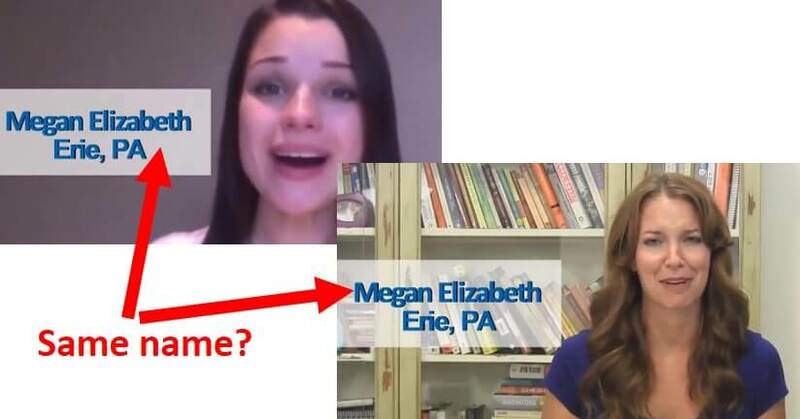 There are two testimonials of women with the exact same name and from the same state.